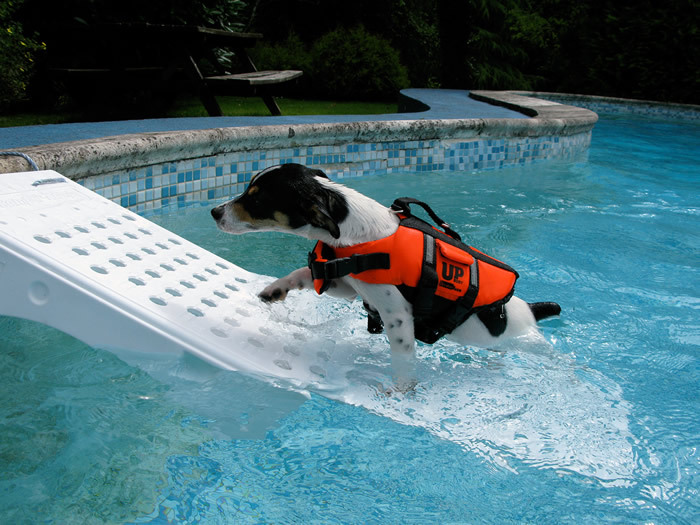 While dogs love to swim, sometimes it can be a little tricky to safely encourage them out of the pool using the regular steps. Here's where the Skamper Ramp comes in! Simply attach the Skamper Ramp to the side of the pool, docks or boat. 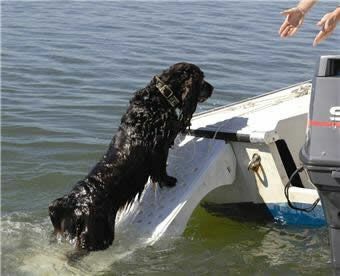 The ramp then sits in the water and can easily be seen by your dog as it is at eye level when they are swimming. Also, because animals can see objects that reflect white light they can see it any time of day or night! 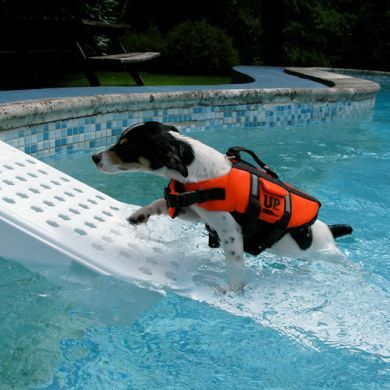 It's even safe for pools with vinyl liners. 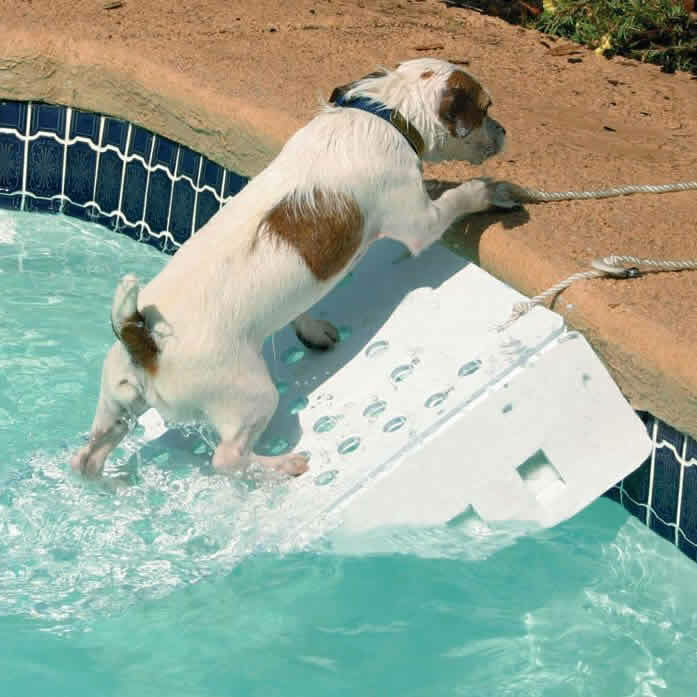 Durable — lasts through many years of continuous use (only the deck attachment rope may need to be replaced sooner). You can view the Skamper Ramp Assembly and Installation instructions here. 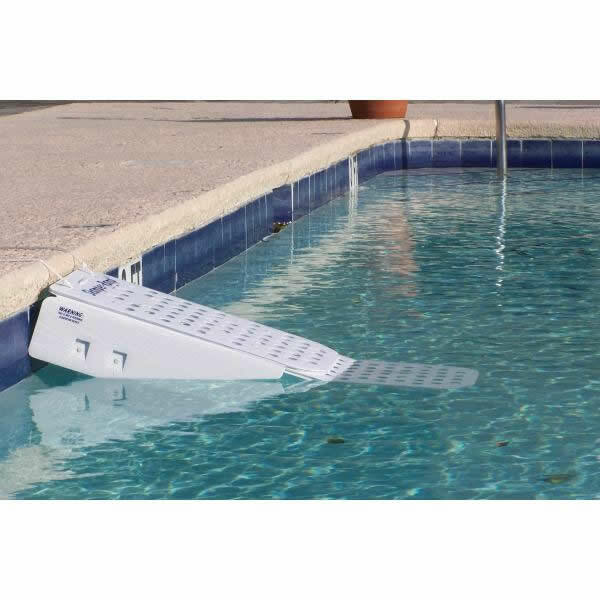 If you have questions about attaching the Skamper Ramp to your pool, dock or boat check out the FAQs here.